The 2018 graduation ceremony of the Le Coiffeur Thilaque – Academy of Hair & Beauty owned by Thilaque de Silva was held at the Hotel Galadari recently. Thilaque de Silva who has over 30 years of vast experience in hair dressing is known to be the hair dressing ‘Guru’ of many popular beauticians and is an internationally acclaimed hair dresser who has tutored thousands of students on hair dressing. 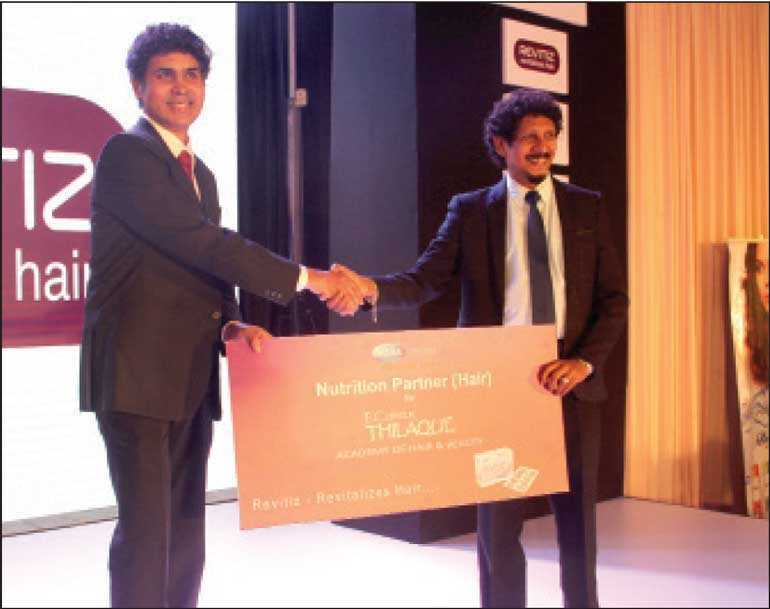 Revitiz, a nutritional hair supplement introduced to the Sri Lankan market by Mega Lifesciences Ltd., was the hair nutrition partner at the graduation. Revitiz contains essential micronutrients for nourishing the hair, they include Zinc, Biotin, Horse tail extract (Botanical name is ‘Equisetum arvense’), Silica, Copper, Iron, Vitamin B3, B5, B6 and C. All these nutrients are essential for a healthy hair growth. By partnering with academies of the stature and popularity of Le Coiffeur, Revitiz is encouraging young students to go and achieve their dreams and make this world even more beautiful.